For the last two years, Stoke City Community Trust have been using the innovative sport of UV Football to engage and encourage females to the game. 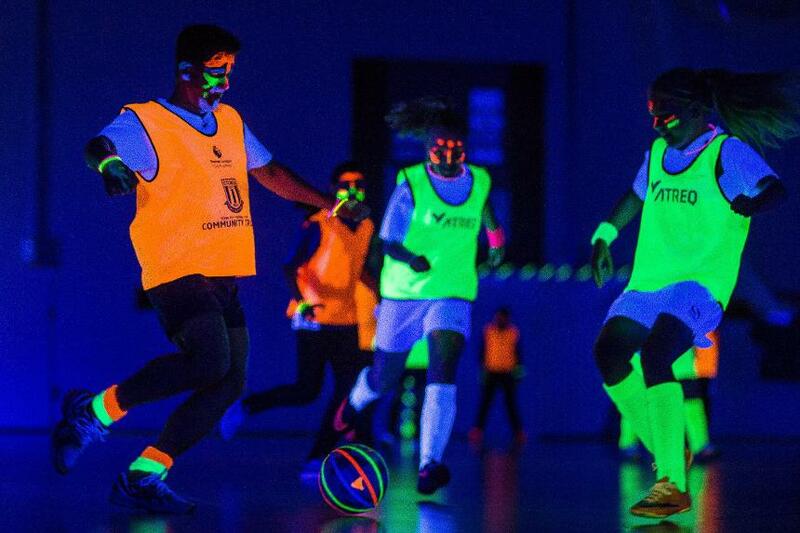 The exciting sport combines football, UV paint and music and the Community Trust has 40 girls a week taking part in a UV League at Staffordshire University, with a total of 150 players involved since 2015. As part of The FA Girls' Football Week, and ahead of this week's Premier League Girls Football Tournament at St George's Park, the BBC visited a UV Football Session run by the Community Trust to see how it helps breaks down barriers and give girls confidence to try the sport. The event at St George's Park, taking place on Thursday and Friday, is run in partnership with The FA and will involve more than 40 clubs from around the country. It celebrates the work of the PL Girls Football programme which is run by 86 professional clubs and has engaged over 45,000 girls since it started in 2013.